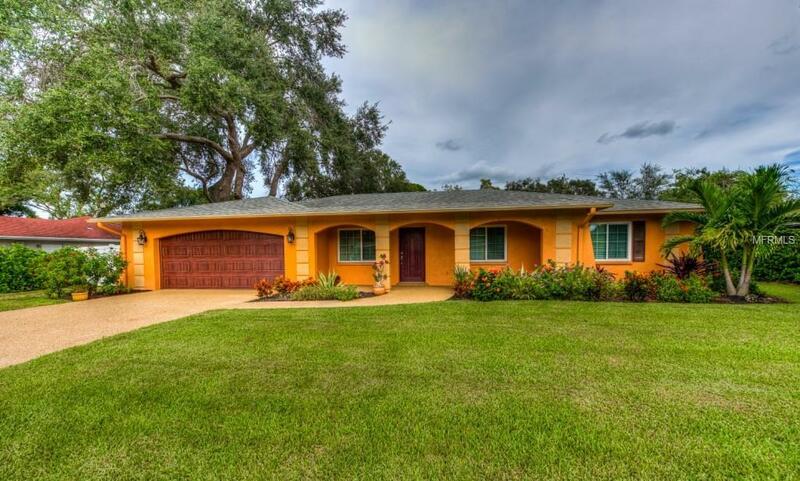 Totally renovated, move in ready Sarasota pool home for under $400K. Located in Ringling Park, home is just a short bike ride away from Sarasota's Historic Main Street that include popular restaurants and shopping. Enjoy your new heated screened in self cleaning pool, in your backyard. Pavers were used in the pool area and lanai. Relax in your covered screened in lanai overlooking your pool and luscious green fenced lawn and gardens. Yard is fenced with a six foot no maintenance vinyl fence. Yard is irrigated with your private well saving you hundreds of dollars a year on your water bill. Enjoy cooking in your updated kitchen with spacious cabinets, soft close drawers, granite counters, Samsung appliances that include a French door refrigerator. When renovation was done, master suite and bath was enlarged too include a jetted tub, separate shower, larger bedroom and huge 11X11 walk in designer closet. You can access pool from the master bedroom. Interior laundry room and 2 car attached garage completes this home.